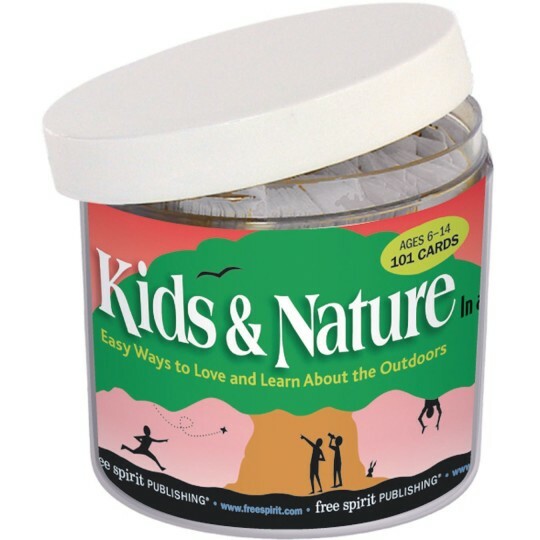 Love and learn about the outdoors! Green ideas, fresh facts, inspiring quotations and nature activities will stir kids to explore nature. With unique, engaging topics for varying ages, Kids and Nature makes learning fun, portable and spontaneous. Kids, parents and educators will enjoy the games and cards at home, at school, at childcare, in the office, while traveling, at parties, in youth groups and at camp.